He is really friendly and professional. I have an allergic on my neck and used many kinds of cream before Isee him but it didn't work. He gave me the medicine and it works good. It just one day since I come to visit him but I feel much better,definitely that I will come back for Flu shot and check up everything. He is really friendly and professional. I have an allergic on my neck and used many kinds of cream before I see him but it didn't work. He gave me themedicine and it works good. It just one day since I come to visit him but I feel much better,definitely that I will come back for Flu shot and check up everything. Very kind doctor. Very knowledgeable. He answered all my questions and concerns regarding my high blood pressure. Dr Tao has both MD and PHD degree. He is board certified in internal medicine, PHD in lung disease. He has practiced medicine for over 25 years treating a broad range of diseases such as hypertension, diabetes, heart disease, gastroenterologic diseases, hepatitis B and C treatment. lung diseases, COPD, asthma, seizure, neurological disease, kidney disease, blood diseases, anemia, pain, male erectile dysfunction, sexually transmitted disease, etc. Dr Tao is also experienced in geriatric disease management. His office also provide annual physical exam, DOT medical exam, woman well exam services, immigration medical exam . His clinic provides on site blood tests, STD test, pap smear. Patients will get good discount if without insurance. DR Tao's clinic also provide service for immigration Physical exam. Fee is $350 without insurance. With insurance, you will pay much less. He also holds certificates of wound care and skin and allergy diseases. His clinic provides allergy test. Dr Tao performs skin procedures using professional radiofrequency instrument to remove skin tags, moles,freckles, genital warts. He also provides wound care procedures like incision and drainage and wound suturing. He practices internal medicine / primary care in both clinic and hospital settings. He is professional and caring. He’s very nice and he listens well. I felt so comfortable like he’d been my doctor for a while and today was my first visit. He’s easy to talk to and very considerate about your personal feelings about your privacy. He’s great and now my new permanent doctor. Staff was amazing too. Very polite and helpful. Very Friendly staff. The doctor took the time to listen to all of my concerns and was very helpful. It was good experience. Dr. Tao was great. Staffs nice . Very thorough and professional. I would recommend to my friends. He is very detailed and always check everything. I feel very confident in what he says. excellent doctor! He is very thorough and explains everything. He is really kind and has a sense of humor. His receptionist is equally so good. Very quick, The Dr. took me right away! Great Experience, Very Professional Office. All staff friendly and welcome. Dr. Tao was great. I was a first time patient and he gave me great advice and made everything so easy. HIs staffs are great too. I had blood drawn and it was one of the easiest times I’ve ever had giving blood. He is an honest man who knows his trade. It was my son's annual check up. First time visit for all of us. My insurance company said I was looking at a [censored amount] doctor visit. The guy at the desksaid it was [censored amount]. Dr Tao got it coded to free. I like free. The only thing was the phlebotomist on staff had to draw blood from my son, but she could not find the vein and he cried. She did not try again either. This guy is good. Great, effective, and he took my insurance, which was in network. He really helped me rid me of my pain. He was fast, and caring. I high recommend. Dr. Tao was nice, pleasant and thorough. His staffs were also very nice. The doctor was great. He listened to my concerns and came up with a good plan. Happy to have a good first appointment. The staff was very courteous, the place clean and impeccable, and right at my appointment time I was asked to come in. The nurse that attended me was very friendly and knowledgeable. The Doctor was quick, answered my questions and tookcare of me. If you are looking for a no-nonsense primary care physician, that knows what customer service means, this is it! Good Job Dr. Tao, and thank you. Great listener. Very engaging and informative. Highly recommend! DR Tao and his staffs were great! Very kind, attentive, and professional! Very, very painless experience from start to finish. Great doctor who actually takes the time to get to know you and listens to what you have to say. Front end staff are warm and pleasant too. 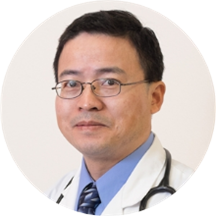 Dr. Tao is an excellent physician and has a great personality that makes the environment very comfortable for the patient. He gives all patients the time that they deserve. The entire office was very friendly as well. I would never go back. In there for an hour already. And last minute she askes if im a new patient which she has the paper there that states it. Finally gives me forms fill this out. People who came in after me are going before me. The entire experience was very positive. The staff were polite and efficient, and the doctor was professional, nice, attentive, and explained everything to the last detail. I highly recommend Dr Tao to other patients. Excellent doctor. He did a complete physical on me and explained everything. He also saw me almost right away. I only had to wait maybe 5 minutes. He was warm and quite professional in his handling of my appointment. He and staff there are excellent. I went home fully satisfied. Friendly, knowledgeable and professional. He knows what he is doing. Happy with my visit. Dr Tao is professional, thorough and patient. He addressed all my concerns and formulated a good plan for me. Office is nice. staffs were wonderful. He has great bedside manner. I never feel rushed and he is very patient and answers all of my questions. There was no wait, and it has always been a pleasure. Will never waste my time or money on him. Didn't listen to a word I said and recommended things totally irrelevant to what I was talking about. Dr Tao Excellent caring doctor. He knows medications and their side effects and what tests he needs to do routinely. his staffs are wonderful. Staff was extremely nice and pleasant to deal with they had me in and out with my prescription extremely fast! It was very good experience. The doctor was very professional and answered all my questions, made my visit there wonderful. Dr. Tao was very friendly and there was no waiting! The doctor did not automatically dismiss my attempts at assisting on establishing a diagnosis of my condition, which was refreshing. He was open to answer all my questions (there were MANY). Also, he was open to thinking outside the box andmay have saved me a lot of pain. We'll find out in a week. He gave me a lot of support and took time to explain his analysis of my condition.Very excellent doctor and I will recommend him to others patients. Dr. Tao and his staff were friendly and professional. He is professional, thorough, friendly and caring. I couldn't have asked for a better doctor. he was very welcoming and warm and knew what he was doing. DR Tao and his team were very kind and absolutely wonderful. They answered all of my questions throughly and Dr. Tao really took the time to make sure I felt comfortable and was receiving the best care. I had a great visit with Dr. Tao today. The office was clean and well kept, the staff was very friendly and took care of me right away. My appointment was for 9:20 AM, I was seen by the nurse at9:10 and finished with Dr.Tao by 9:40. Dr. Tao was attentive and professional, and very very kind. I am extremely impressed with my visit this morning and will definitely be returning! He has a good bedside manner. He knows his stuff ie well versed! And also very important no dealing with bad staff there! He made good decisions with the people surrounding him they are not only extremely competent --they are alsovery friendly and helpful! I have finally found a good family medicine office in Houston!!! Dr. Qingguo Tao is an excellent physician. I would recommend his services to anyone looking for an honest, kind Primary Care Physician. Excelente! Me sentí muy confiada.,cumplió con mis expectativas. Su asistente muy amable fue muy importante porque yo no hablo inglés. He was great. I showed up early, really early and he saw me anyway. Got me in and out. Everyone there was nice.